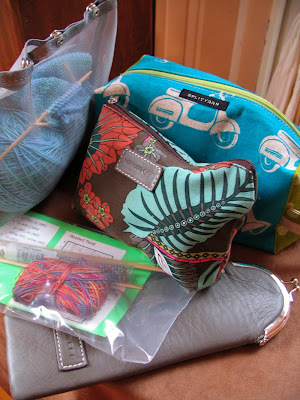 Nelkin Designs Blog: Travel Knitting- It's In the Bag Give Away! Travel Knitting- It's In the Bag Give Away! I have to say, traveling is one of my favorite things to do! I am pretty much constantly on the move. At least once a month, and often more, we head out on an adventure. Sometimes I wonder if one reason I travel so much is how much knitting I can get done. I've traveled, though, for way longer than I've knitted, so I don't think this is the case. 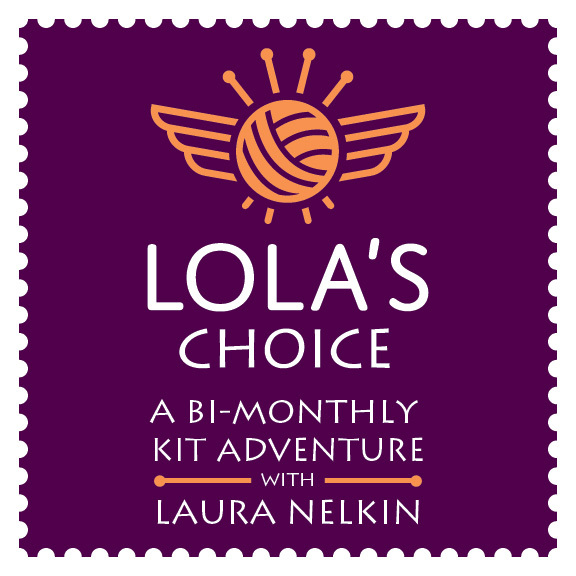 When I travel, I keep it light, small projects that are compact and are easy to negotiate while I am on the move. I tend to copy notes and charts and paste them onto index cards so I am not carrying around lots of paper. (I do end up having a stash spot in my suitcase for extra paperwork and patterns in case I need to look at them...) See how small and lightweight that ziplock baggie is for the cuffs? I always bring WAY too much with me, but at least it's small! I've really enjoyed looking through It's in the Bag's pages looking for projects that will travel well, there are so many scarves, socks and kid designs to choose from that will pack up perfectly for your winter travels. 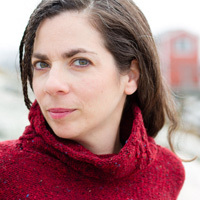 The Fitter Knitter : Cindy will chat with Colleen Smitherman about her It's a Wrap shrug. Colleen will share some of her inspiration behind this fashion-forward design. I'm not a traveller at present, but I do commute between home and Mom's fairly often. For that I've been focusing on home-dec items for her house. I love the idea of traveling. On a trip to DC this fall I got a lot done on a pair of socks. Unfortunately, I've been laid off so no traveling, but I am getting a lot of knitting done at home! The Habitat Hat and 198 yds of Heaven will be my Thanksgiving travel knits next week. I knitting gloves as well as a mitered bowl. The bowl is pretty much brainless knitting and it isn't too large to take places. I have a pair of socks, the Mara shawl and a lace scarf ready for my winter traveling. I'm homebound for a while - til the economy recovers. But if you count traveling from room to room (lol) then it's hats and more hats. I travel a lot for my work, and have two travel projects going - an pumpkin orange lace scarf for long trips in the train or plane, and a pair of groovy green socks for shorter train trips and waiting between rehearsals when I just want mindless kilometers of stockinette in the round! I've got lots of small projects lined up - perfect for knitting while travelling for the holidays (and on my commute). Hats for my fiance and I (somehow they all got lost in our recent move), mittens for me, baby sweaters for friends, and maybe a few small Christmas gifts! My travel knitting right now is a little shrug I'm making for my 4 year-old daughter. She has a holiday event at preschool and so I'm making this to go over her dress. I'm knitting with handspun wool, white with a little bamboo for shine and nylon firestar for sparkle. I travel between PA and NY quite frequently especially for the holidays. Right now I am working on the Vortex Shawl, a Branching Out scarf and I just casted on for the Heartland Lace Shawl (which is doubly appropriate since I will be traveling to Buffalo in a few short weeks! My only project at the moment (so will travel) is a scarf (Rivulet) from malabrigo Dos yarn. I WILL get this scarf finished!!! I am delighted to have discovered your blog today! In my travel bag will be projects for my grandchildren: advent ornaments - I have made 4 of 25 but they go fast - and toys and hats for them, too! Thanks for this contest and I hope I win! And happy holidays! I'm traveling to New Orleans for a national asthma eduction class for medical providers and will be taking a sock project as usual and probably the first panel of a sweater. 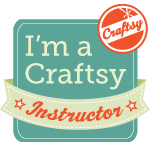 I just came across your blog through Ravelry. It's really nice. in my handbag: a lace shrug, kept in a food bag, done on circs so it takes less space. I'm not really travelling much at the moment, but will be going on honeymoon in the summer, and will be taking something not too taxing with me.... can't cope with not having anything, so it's great to see so many ideas of what I could take! Wow, it looks like you should be on a long distance train trip knitting your way through the countryside. Ha. Can you tell I'm travel-less this year? I have a post-op puppy dog who needs constant babysitting, so I'm snuggled up on my couch knitting away at my Christmas list. I'm most excited about my first thrumming expedition (I guess that could count as travel? Traveling outside my comfort zone, for sure!) I'm knitting a thrummed earflap hat for my honey. Hope he loves it! Thanks for a great blog entry! We're headed up to Maine to have Thanksgiving with my husband's sister and her family. I've got a pair of kilt hose (socks) to work on - I just turned the heel and he's got super long legs so they will last the entire trip for sure. I hope he drives at least part of the way so I can knit! :) Looking forward to this book - thanks for the contest! My travel knitting will be my sweater. My current projects I take with me everywhere are scarfs for my dad and brother for Christmas. One is a very simple pattern and the other is a double-knit woven ladder stitch. I'm falling in love with the more complicated one. My travel knitting is a soothing yet relaxing mobius scarf. Once it's started, it practically knits itself! Thanks for the contest. I am knitting a hat and a scarf when I knit in public. I will not be traveling anywhere for the holidays. I'm knitting Longing from Iris Schrier's Reversible Knits! I haven't done much travel other than many doctor visits this fall and winter, but I always have a little bag of knitting with me. Hats and scarves and socks work really well for travel projects. Your projects and tutorials are very nice and I hope to use more of them. Thanks for the contest and Happy Travels to you and yours. I almost always travel with a sock (or 10), I hate having to reference a pattern while trying to relax and enjoy the journey. That being said, if it's a long trip I'm going on, I like to have a variety, last trip I went on I had yarn for part of a sweater, 3 pairs of socks and a felted purse. Didn't finish anything, but I like to have options. Wish I could say I was going somewhere fun this winter, but alas, I am stuck at home. This book looks amazing, and the beaded cuffs are very pretty. Thank you for offering this contest. A Christmas present scarf and a Christmas stocking are both going everywhere with me so I can knit a bit in snatched moments! I hope they'll be done b4 I get on the plane for Christmas and I can start fingerless mitts for me! Right now I have zero travel knitting but have to find something to take with me as we drive the 6 hours to my sister's house for Thanksgiving. In the running are a sweater with miles of stockinette, socks, and/or a scarf. I think it will be the socks. The train to Rome, the plane to London and the car to Venice. This is the advantage of living in Italy - at least for a while. What's in my project bag? A pair of pink mittens for my middle granddaughter, one of three pair promised to her for Christmas, and a hoodie sweater for my youngest granddaughter. A quick, cute sweater for a growing little-one. I have two sweater sleeves in my knitting tote bag - sort of like socks without the toes! After that, Christmas ornaments or a quick scarf. I don't have any travel planned at the moment but regularly knit in the car when running errands with my husband or at work on my lunch hour and like to take socks or easy shawls to work on. We don't travel much or maybe I'd get more knitting done! Little kids make it more difficult (both the travelling and the knitting! ), but fortunately when we do go somewhere I have lots of little projects to take along, that is much easier than a big sweater or a beaded lace shawl. I've got a star wars hat which is nearly finished. Next will be red/orange socks for my 5yrold! I am traveling to New Jersey after christmas. If I'm not done with it yet, Daffodil Design will be my travel knitting. Otherwise, I figure I'll bring yarn for some socks, for a pretty thing cowl, and maybe some wristwarmers and then just knit whatever feels best then! Travel and knitting are my two addictions. I went to South America this year and while in planes and buses, I started and finished a pair of fair-isle mittens. It's in the Bag would be handy for my further travels. I'm heading to New England for Thanksgiving. Beyond that I have no travel plans. Whenever I leave the house I have at least one thing in the bag. Right now it is a hat for my daughter. We are currently driving from San Angelo, TX to Ft Walton Beach, FL. It is suppose to be a 15 hr trip. I guess we didn't count for extremely bad weather (rain, torrential rain!) and road construction (an hour and a half to get 15 miles). But I was content. I brought a sock project in progress (just finished the mate), a pair of fingerless mitts (working on the top part of the hand), yarn for socks, yarn for washcloths, and yarn for a tam. I thought I might not have enough knitting for a 10 day trip but hey! I can always buy more, right?! in my travel bag, I have the sleeves to a sweater (straight, boring knitting), a lace shawlette, and a pair of socks. Woo hoo Laura! Love the fun knitting bags and some great new ideas too! hellakewl here. I am wrapping up a scarf for a second cousin (tweener girl) and taking a christmas stocking class. I've also got a gianormous coverlet that I'm doing like a 6-point star in pieces that I need to finish before I go crazy. I usually travel with a pair of simple, plain socks if I'm not going to be able to have a chart out, or a lace shawl if I will (planes and trains). I'm in my last trimester so I won't be traveling this winter, but everytime I leave my house I take wathever project I'm working on, right now is a pair of worsted weight socks for my FIL. I travel back and forth to my Mom and Dad's alot 1 and one half hours both ways. I have been taking the squares to my sampler afghan(just one at a time), socks, and some fingerless gloves. I KIP on the bus everyday when I take my eight-year-old granddaughter to school. Then meet up with knitting buddies for coffee and knit there, too. Right now I have two socks on one circ for my son in my traveling bag. My granddaughter also has a traveling project. She is making her first "in the round" project, a cowel. She knits on the bus and during silent reading at school. Yes, she can already read and knit at the same time! My travel project will be blanket squares for Knit A Square. They make blankets for children in Africa who are orphans, primarily as a result of AIDS. Small, portable and good for starting conversations. My travel knitting is two things: a current sock for me, and projects for Christmas at Sea. They collect scarfs and hats for Merchant Mariners as a part of the Seaman's Church mission. It's uncomplicated knitting, and by making my charity knitting my travel project I'm sure to get more done. As I travel to Tulsa (thereabouts) from OH I will be working on a pair of mens (son's) socks. Must be careful with color when man-knitting, at least in my family but a neutral light blue/gray will please me as well. Give aways....yay. I'm also not traveling anywhere, sadly, but I've got quite a bit of Christmas knitting to do, not the least of which is a sweater pattern that I'm creating to sell! Socks are my preferred travel knitting, but often I am knitting with a deadline and sometimes that project will be the one I travel with! Oh man, I can't wait to jump on this bandwagon! My knitting and I will be going to South Carolina, Kentucky and (hopefully) Iceland! I've got a shawl, sweater, and scarf to haul around during these travels. I'm open to any tips you might have. I hope things are going well with you! <3 H.
Very timely since I am leaving for London on Wed. and spent way too much time over the last couple of weeks focused on what to bring to maximize the knitting time without overdoing it. The result-I have a long laceweight cashmere shawl/scarf for me that will make the trip, a pair of socks I put on the needles a day ago to take with me and perhaps a pair of fingerless mitts that will be a holiday gift. All way more fun than thinking about the rain gear that will also need to make the trip! Happy Thanksgiving. My travel knitting is a lace weight sweater that packs up easily in a ziplock and is to the point it is just easy stockinette. Pick it up, put it down, no worries. I haven't been travelling much lately, but I like to take along simple socks when I do. For traveling, I like to take projects that use smaller needles - either socks, scarves, or hats. Makes it easier if you don't always have as much elbow room as you might like, and the supplies don't take up a lot of room. I always travel with the makings of baby hats. I enjoy being able to make one up whenever we run errands, have to wait at the doctor's and so on. When I amass a good number, off they go in a care package to whatever local charity is currently accepting. Great blog...off to add it to my reader. All my holiday traveling will be in state, always is. So not much knitting time. If I do take anything along it will be a sock or perhaps a glove. I have a lot of gloves on my holiday gift list this year. I don't think I have much travel planned for the holidays, although we might nip away for some skiing at Tahoe. Usually my travel knitting is simply socks. Even if I don't have any on the needles, I've definitely got enough sock yarn stashed that I can grab a ball and needles on the way out the door and just do a plain vanilla pair. No pattern required, so there's less to carry around. My travel knitting is a back scrubber and matching towel made from dishcloth cotton. Pattern is very simple - just a lace border on the towel which is also on the back scrubber. For my Thanksgiving car ride tomorrow I have a small shawl/scarflet on needles. I cast on the other day in anticipation of the car ride on Thursday. Korknisse and my dad's Pi Scarf traveled with me for Thanksgiving. For those of you who are purchasing Crystal,we realize that this is one of the most important purchasing decisions you will make. Thanks a lot for the post.It's certainly a good deal.Have a nice time. I appreciate your post and it was superb .Thanks for sharing.I would like to hear more about this in future. Brilliant article I master some new things today. Many thanks google to receive me the info I wanted, stick with it. Wow. Wonderful article. You have shared such a nice post. Thanks for your sharing. QuickBooks Payroll Customer Support Phone Number. Our specialists are dependably support to enable you with essential, to help and finish benefit payroll. Regardless of whether you are taking duty table overhaul issues, server mistake, payroll execution timing issues, Intuit working not reacting, or QuickBooks refresh issues; we guarantee to convey disobediently and opportune specialized help to you. Quickbooks 247 Phone Number 1800-291-2485 services offer you qualified experts who have a sufficient experience in the relevant field. If you come across an issue with the software, the experts make sure to resolve your issue instantly. They assist in downloading the QuickBooks, setting up and creating the data files of the company in windows and Mac systems. This is such a nice informative blog. Thanks for sharing. If you want to visit the best place. Then Buddhist destinations is also best place to visit. Hi... This is very useful article. Containing useful information. You can also like the buddhist pilgrimage sites in india. I looking for this type post for long time. This post is such useful post. Thanks for sharing. Yo can also make buddhist rajgir tour cost,at very cheap price. This is very nice and interesting blog. Thanks for sharing. We are offering to get flight ticket services at cheap price. Nice blog post..please keep write this ..I am get a highly knowledge of Bag manufacturer in Jaipur. Your Blog Contains different Information about the Bags, that’s are very nice and informative.